Happy new year 2019. Wish you health and prosperity for you and your family. As we know, we will have CNY holiday at the end of this month, the lead time is very long before or after holiday. If you have urgent order on hand, please confirm before our holiday, then we can help arrange earliest production schedule for you. If you confirm after holiday, usually the lead time is very longer, possible at the end of April, even on May. Please kindly understand this hard situation. During CNY holiday, our sales team will overtime, if you have any request needs our support, just contact us, we’ll give you a fast reply. 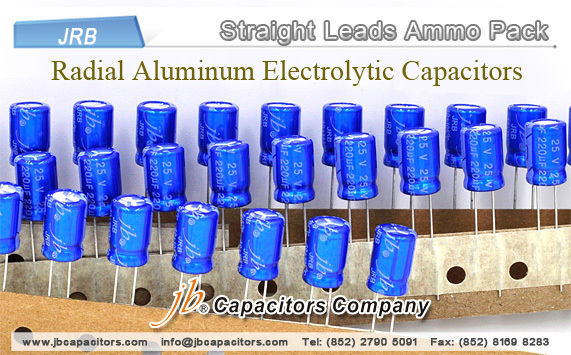 The capacitors market is not stable recently, I believe you have also heard that E-Cap has raised prices in the Chinese market recently. Do you encounter such as trouble? 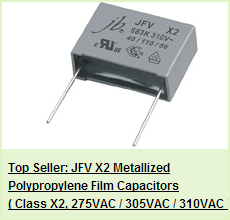 Are you feel difficult to find high cost performance capacitors? In fact, jb is the best choice for you. 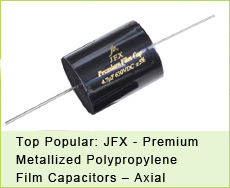 Plastic film capacitors and Aluminum Electrolytic Capacitors are our strong products. 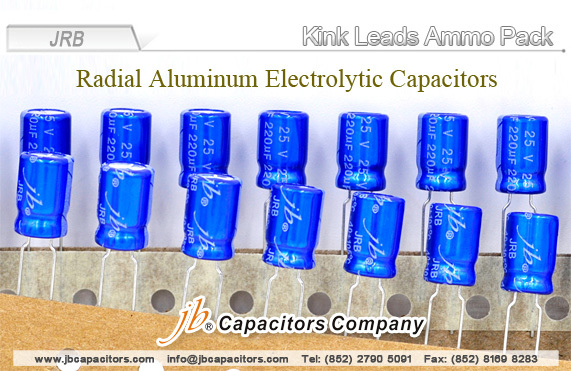 We have sorted out the Radial Aluminum Electrolytic Capacitor Features list. Would you like to check your E-CAP inquiry then send to us? I will sure offer you the best price! They are suitable for switch power supply and router products, which win the good response from our customers and receive lots of orders every year. Because of the customers good support for many years, we enhance the our quality constantly and give feedback to market demand. 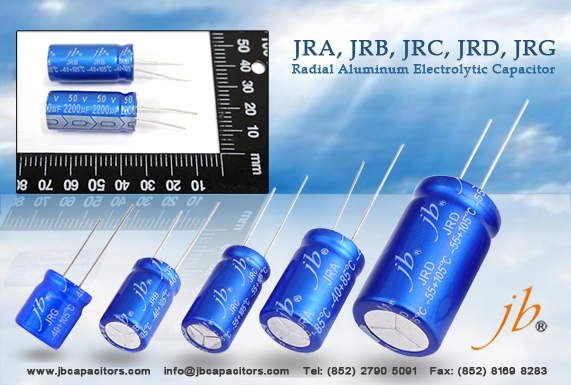 JRB is the standard type for radial aluminum capacitors, wide temperature range, miniature and large capacity, we provide high quality for sure. To win your trust, we can offer free samples and competitive price for you! 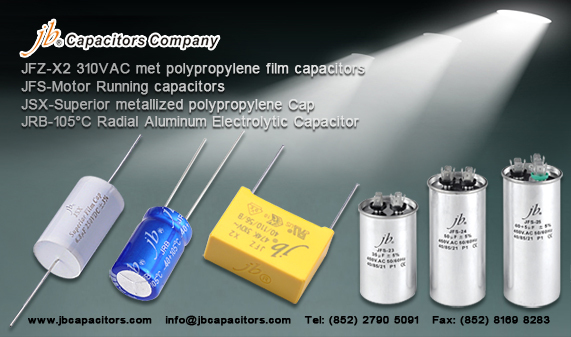 If you are looking for the alternative power capacitors, please feel free to contact us! We look forward to our nice beginning with you. 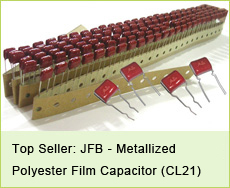 Please check our below Hot seller series of Radial Aluminum Electrolytic Capacitors. We will offer most competitive prices, high quality, attractive delivery time, and best customer service. If you have any inquiry, please send us RFQs asap, let's help you cost down. We sincerely look forward to your business chance! 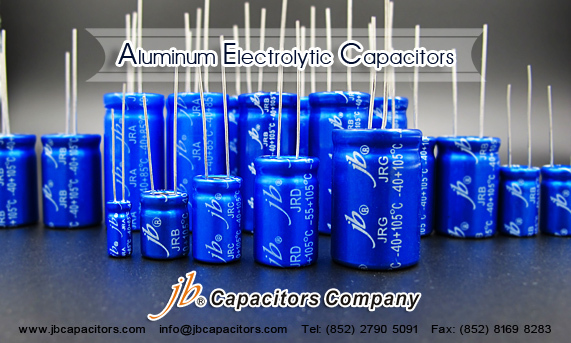 As known, jb produce high quality Radial Aluminum Electrolytic Capacitors but good prices. 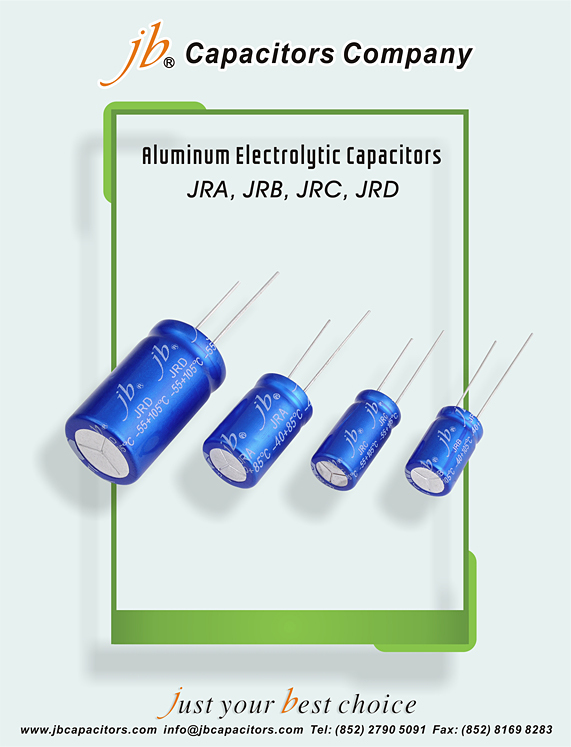 Radial Aluminum Electrolytic Capacitors, with miniaturized size and wide temperature, low impedance and high ripple current, are used in a wide range of fields. Bulk pack and Ammo Pack. If you have any other questions, or need any support from us, please contact our sales department at once, thank you. Серия JRB – это новая серия электролитических конденсаторов в складской программе Компэл от известного производителя JB Capacitors. Эти конденсаторы предназначены для самого массового сегмента потребительской электроники, имеющие базовые параметры рабочего температурного диапазона от -40℃ до +105℃ и времени наработки на отказ в 2000 часов. After updated the RoHS2.0 for radial type aluminum electrolytic capacitors, we updated our certificate for ISO again in March. 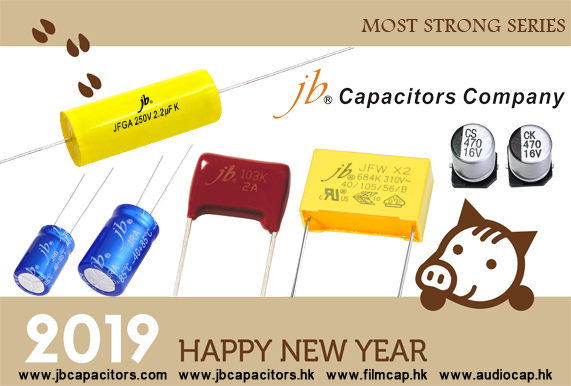 jb capacitors are working more hard to get the best support for our customers, we are looking forward to win more & more market shares together with our customers. We welcome more win-win cooperations. 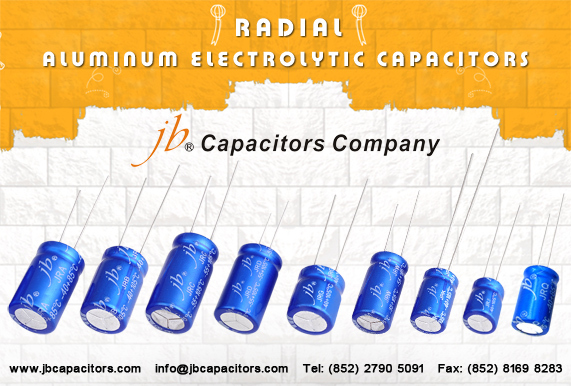 Good news to announce that we updated jb Radial Electrolytic Capacitors RoHS 2.0 report at the early of 2016. The goods we supply are with RoHS compliant and lead free. 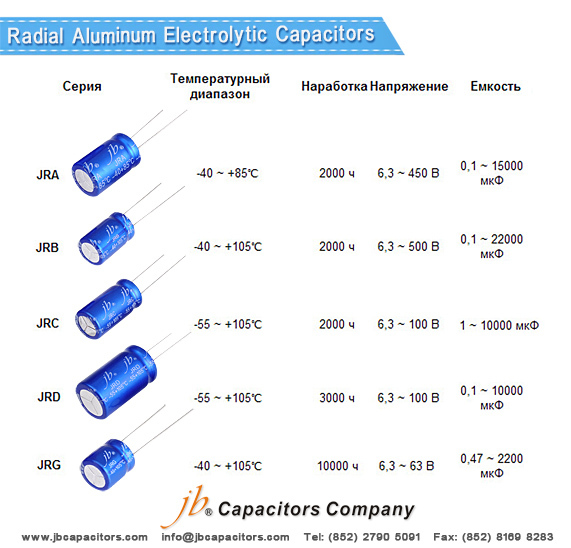 Radial Aluminum Electrolytic Capacitors include below series, other specification available on request.